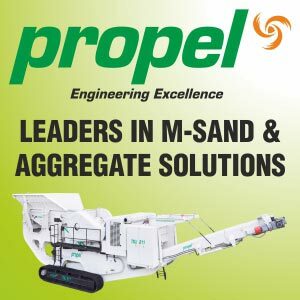 The road surface preparation market is witnessing a slew of new equipment with advanced features as equipment manufacturers vie with each other to meet the contractors’ requirement for speedy and quality road construction. Vogele’s most recent innovation - the ‘Road Scan’ - helps the operator of the paver to know the exact temperature of the mix as it is being paved. “The final finish of roads depends to a great extent on the accuracy delivered by Sensor pavers in addition to the mix quality and temperature at which it is laid and the compaction. With Inline pave, we can pave both the dense bitumen macadam and the wearing course in a single pass operation, as hot on hot, thereby eliminating the tack coat and saving other costs,” informs Palagiri. The Wirtgen Group in India, expects to expand its asphalt pavers business with the spurt in construction of bituminous roads. Wirtgen is looking to bank on its range of 0.5 mtr upto 16 mtrs of Mini Class, Compact Class, Universal Class, Highway Class and Special Class pavers. Unipave Engineering Products is offering a wide range of paver finishers with 5 different models in the mechanical segment, namely, UAP-04, HAP-045, HAP-45HC (Hydraulic Drive for Conveyor) and HAP-045HD (Hydraulic Conveyor and Hydraulic Drive), UWM-05 - a unique machine and the only one of its kind in the market. It is a mechanical paver with a hydraulic transmission and requires less maintenance. In the mechanical segment, the company’s UWM-05 is a double excel mechanical paver especially designed for lay WMM material but also works with bitumen. In the Sensor paver segment, the company has 4 models, and another is under development. ESP-045 is a small 4.5m paver with a Moba sensor for slope and grade control. Other models include the ESP-05 of 5.5 m and an optional model of 6.0 meters. The latest ASP-075 is India’s first wheeled paver machine which has a 7.5 m screed width. The ACP-090, earlier known as Autopaves-09, has a screed of 9.0 m. The ACX-075 is crawler mounted with a Moba dashboard and is considered a gamechanger; it can lay roads up to 7.5 meters at a stretch. All the pavers are ARAI approved. A regards after-sales service and spares, Unipave has a dealer network, especially strong in the eastern part of India. “Due to our good service, 60% of our customers are repeat customers,” avers Vishal Surelia. Volvo CE manufactures its 5.5 m wheeled paver P4370B and 7.5m track paver P5320B at its Bangalore facility with high local content and imports its 9m P 6820C, 10 and 10.5m P 7820B, 13m P8820B and 16m P9820B pavers from its facility in Germany. “Our pavers with their high-powered engines can carry higher asphalt volumes. For quality surface finish, the pavers have a tamping feature in the screed for better pre-compaction with close to 90 percent compaction effectiveness. Other key features are automatic track tensioning device, screed lock and anti climbing lock, which ensures that there shall be no unevenness in the asphalt surface while starting and stopping of the paver. Our paving products can be used to pave both dry lean concrete and asphalt. Additional optional attachments ensure the required slope and grade controls in the machinery while paving the surface, informs Dimitrov Krishnan, Vice President and Head of Volvo CE India. Sany road construction equipment has the latest technology and best-in-class components for high quality asphalt laying,faster heating of screed and longer hours availability. The company offers a wide range of screed sensor pavers from 2.5m to 14m paving width for single and multiple lane projects. The pavers can handle large quantities of asphalt mix from 450 to 1100 t/hr and have 0.8 to 24 m/min paving speeds. SANY SAP and SMP series have a unique absorption filtration technique with oil-return and oil compensating filters. This multiple filtration design increases reliability of the hydraulic system, and thereby, of the equipment. Added features of Sany screen pavers include SYMC and SYLD key control systems with intelligent controls , display settings and status monitoring, integrated into a single platform for full electronic control, remote control, positioning and automatic fault diagnosis. “For loading efficiency and grade and slope control, Sany pavers have ultrasonic sensors and balance beam systems. The sensors are placed on all critical levels of material collection, movement and spreading systems to ensure optimum loading, uniform material flow and effective level control. The unique thermal deformation compensating control technology enables our pavers to have maximum flatness of screed surfaces. High-pressure pumps and motors and big ratio reducer help achieve strong impact resistance. Additionally,noise absorptionand cooling systems ensure long service hours and operator comfort,” informs Saxena. According to Shalabh Chaturvedi, Head, Case Construction Equipment India, the cost of compaction is a meagre 1-2 percent of a road construction project. However, one must use the right machine as its weak performance can disrupt the whole supply chain from batching of asphalt to its transportation on the site for paving. This is especially so for the wide stretches of highway roads being constructed, and with very tight timelines. The company has packaged its new 752 EX vibratory tandem compactor with advanced features for enhanced productivity and excellent fuel efficiency. The machine is powered by a 3.9 liter, 4-cylinder FPT engine that delivers 76hp at 2200rpm and torque of 332nm at 1300rpm, and, according to the company, is 5-8 percent more fuel efficient than its predecessor 752. He infroms that the 752 EX vibratory compactor is being supported by the company’s 70 dealers having 250 outlets backed by 1000 trained engineers. It is working in road projects under the Pradhan Mantri Gram Sadak Yojana, and is being supported by close to 650 New Holland tractor dealers. Launched during the 3rd quarter of this year, CASE has sold about 50 units and is looking to market the product to both the corporate and rental companies. Case also markets its 1107EX Soil Compactor, 450 DX mini tandem compactor manufactured at its Pithampur plant, and 845 B/865B motor grader imported from CASE Brazil plant. ECEL’s compactors are available in soil, tandem and mini tandem. Its newly launched EC 3212, 12-ton soil compactor is packed with features such as LED work lights for night operations, mobile charging point, water bottle holder and non-slip tapes for better foot grip. Optional features include an intelligent compaction system (ICS), delay start operations, and cold starting kits for operations in cold climate areas. “Escorts is geared to provide optimum solutions. All the features desired in our compactors are available as either standard or optional. We are also ready to provide higher tonnage machines with certain advanced features should the industry graduate to it. Our compactors are supported by a strong service team and a dealer network. After-sales calls on a dedicated toll free number are monitored for resolution by our HO team,” says Ajay Mandhr, CEO, Escorts Construction Equipment Limited. JCB India offers a world class range of Compactors - the VMT 330, a 3 tons class mini tandem roller, the VMT 860 eco, 9 tons tandem roller and the JCB 116, an 11 tons class soil compactor. JCB’s new 116 compactor has an inbuilt compaction meter for desired compaction density in minimum number of passes. The high front weight ratio of the machine provides high linear static load. The machine’s first of its kind in India concept called ‘Intelli Compaction’ provides compaction value for achieving consistent and uniform compaction throughout the patch and is also integrated through Livelink, an advanced telematics technology. A digital display shows high, low frequency and amplitude values for compaction control, and the versatile system is suitable for both asphalt and soil surfaces. JCB compactors are supported by its 60 dealers with 650 outlets across the country. “Our dealers have made significant investments in setting up their product support network with over 6000 trained professionals for servicing and maintenance of the machines, and we have strategically located warehouses in Pune, Chennai, Faridabad, Guwahati and Kolkata for timely parts supplies,” informs Jasmeet. To further support its machines, JCB India has set up a world-class command center at its Ballabgarh facility. Its dealers too have set up Livelink command centers for extending real time support to customers. Other digital apps include JCB Livelink, JCB Smart Service and Smart Machine Diagnostic. Wirtgen offers Hamm 311 soil compactor, HD 99 asphalt compactor, GRW 15 rubber wheeled roller, 3520 pad foot compactor and the mini tandem roller HD 12VV for the Indian road construction market. Ramesh Palagiri, MD, Wirtgen India, informs that the 311 compactor and the HD tandem roller 99 come with 3-point articulation, which ensures even weight distribution and exceptional directional stability, especially in curves, and resistance to tipping. The HD 99 produces very smooth asphalt surfaces without deformation. In earthworks, the 3-point articulation enables the 311 compactor to achieve excellent maneuvering and compacting even in rough terrains. Wirtgen has an application support team both for rigid and flexible pavements, an operator training school for its products, warehouses at 14 locations across the country and a mother warehouse in Pune, and over 200 onsite service persons and service vehicles to curtail machine breakdown. Liugong’s new, 611, 11-ton soil compactor is fitted with a Kirloskar engine that delivers 105 hp. The machine has a 3-grade absorption rubber that reduces vibration and anti-skid differential brakes. A compaction meter enables the operator to know the exact number of passes required for uniform compaction density, thereby savingfuel and time. According to the manufacturers, the slight shift from concrete roads to bituminous roads is expected to step up demand of asphalt pavers in the coming years. The market for compactors that stood at around 2500 units per year for the past 8-10 years, has risen to 3500 units per year in view of the large number of roads and highways being planned by the government. With manufacturers promoting a wide range of pavers and compactors for varied applications, the industry is picking up momentum. Efficient and reliable after-sales service and technical support to their equipment will further enable the OEMs to deliver value for money to the equipment owners.